The ultimate Robbie Williams experience. Let him entertain you with his incredible voice, showmanship, and charisma that emulates the man himself in this spectacular show that leaves audiences captivated & wanting more! 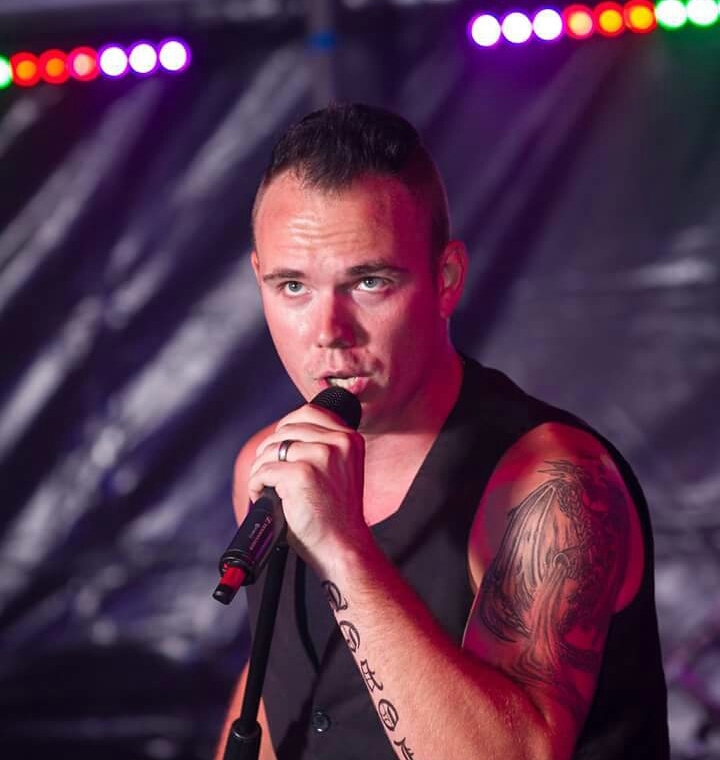 A well established Robbie Williams tribute for over a decade, delivering powerhouse performances that thrill clients at each and every venue. His portrayal of Robbie Williams is one of the best in the UK! The show contains all the big classics from Robbie’s career, including those from his early Take That days right through to his solo career including She's the one, Candy and Angels. If you are looking for an outstanding Robbie Williams tribute, look no further for an evening of dazzling entertainment, guaranteed to get everyone up on their feet. His performance adds extra sparkle to any event. Rates increase with distance away from artists base. We held a charity ball at The Marriott Hotel in Leeds on Saturday 6th May for two children's charities: Candlelighters & Children's Heart Surgery Fund. The event was a sell-out and we had 270 people in attendance. He gave a fun and energetic performance and had everyone up on their feet! His Robbie Williams tribute show is packed with big tunes from Robbie’s entire career, including hits from his Take That, his solo career, as well as combining some swing classics. This makes for an epic show with something for everyone. If you're looking to book a Robbie Williams tribute for a company function, private party, wedding or charity fundraiser, His show will most certainly add that something special to your event. Best Robbie Williams tribute by far - can highly recommend him! Everyone enjoyed his performance & he got people dancing the night away. It was a HUGE success! Thank you for providing some quality entertainment! you are a fantastic Robbie!! Seen you 6 times in Calasparra Murcia! You are a truly nice guy with a lovely Family! You deffinately 'entertained us' Thankyou!! Options: 2 x 45 minute sets. Costumes / Dress: Various costume changes. Experience: Has over a decade in the entertainment industry, previously touring Spain, now the UK. Well what can we say about 'Robbie' one of the best tributes I have seen here in Spain. He is a fantastic showman and brings the crowds to the bar everytime he has played here. One brilliant showman and one hell of a gentleman, so professional and well well worth a visit to see him if you have the opportunity. Great entertainer, and a great guy....get booking!!! We book him at out hotel and he always impresses!! Brilliant Entertainer had the whole crowd joining in and on their feet at El Toro Carvery Now Al and Bennys. A must see for everyone, Couldn't recommend enough! Full PA system including Bass bins, speakers, lighting, smoke machine and Monitor speakers.